LACTATION ENERGY BITES 2 CUP OATMEAL (DRY) 1 CUP CHOCOLATE - ProudMummy.com the Web's Community for Mums. 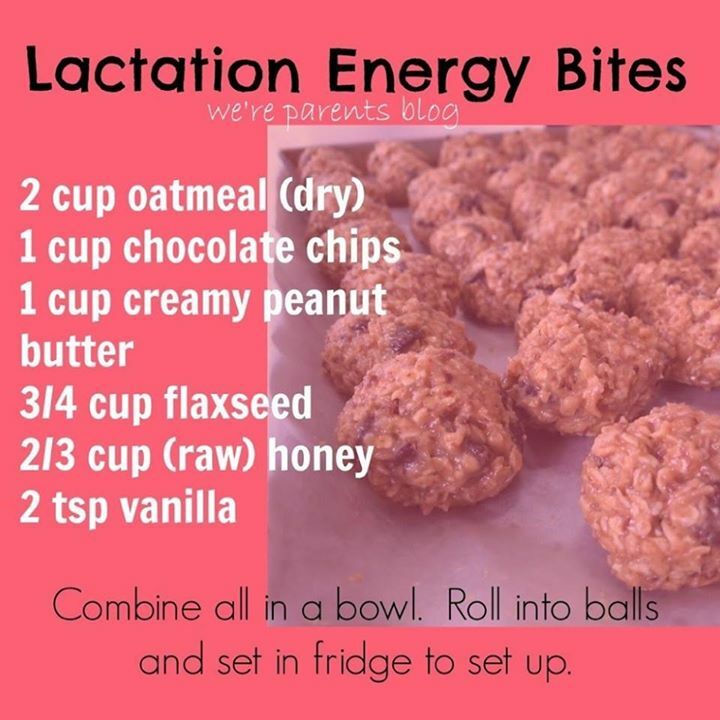 LACTATION ENERGY BITES 2 CUP OATMEAL (DRY) 1 CUP CHOCOLATE CHIPS 1 CUP CREAMY PEANUT BUTTER 3/4 CUP FLAXSEED 2/3 CUP (RAW) HONEY 2 TSP VANILLA COMBINE ALL IN A BOWL. ROLL INTO BALLS AND SET IN FRIDGE TO SET UP.